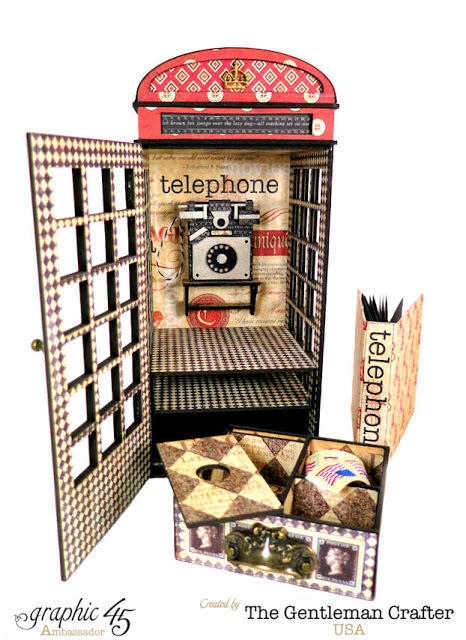 The Gentleman Crafter: Telephone Booth Adresser Kits Available Now! Hope everyone is having a GREAT Friday so far! It's so HOT in my area of Texas that I literally stay inside all day and only make appearances to the outside in the early morning or late at night. It's that time of year when you try to keep everything you have worked so hard to grow alive...Just alive for a few more months so that it will come back out and flourish for the Fall. But like I say, Thank God for Air Conditioning! I've said in previous posts that it's time to start selling the kits that have been available to classes. Today's is one of my very favorites. The Telephone Booth Addresser. 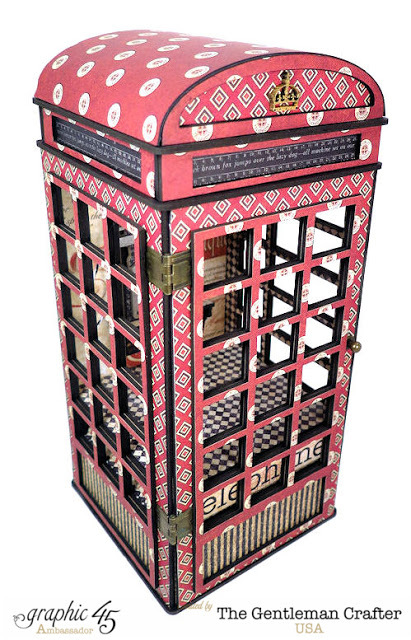 We have had so much fun making this project and have even turned it into a Tardis for Dr. Who Fans! 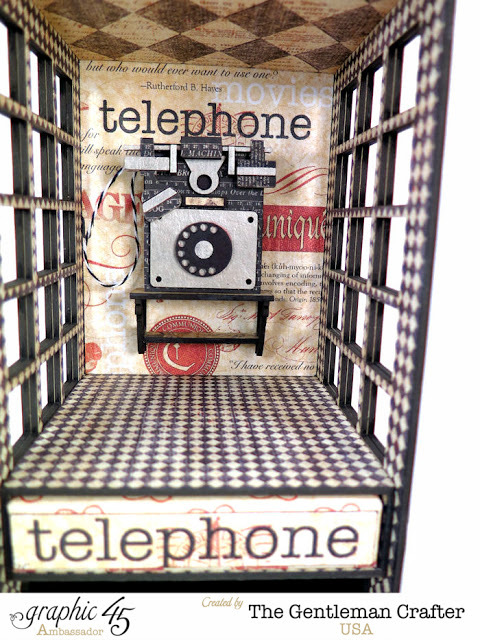 This British icon sits attractively on your desk and has a place to hold an address book or mini that you create with the tutorial. 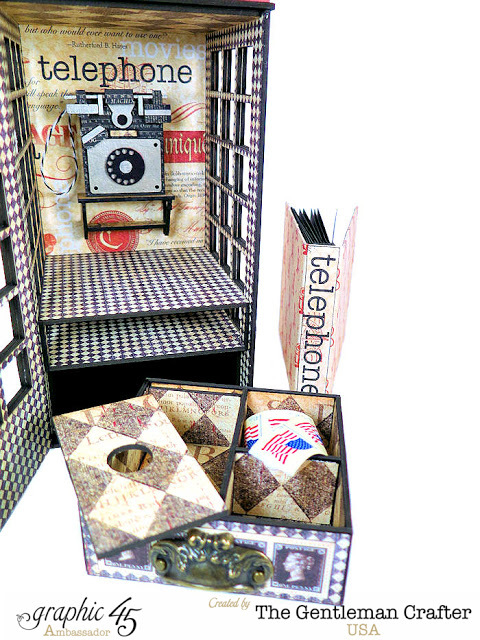 Has a little drawer that holds stamps, paperclips and more...Fun Project to Make! 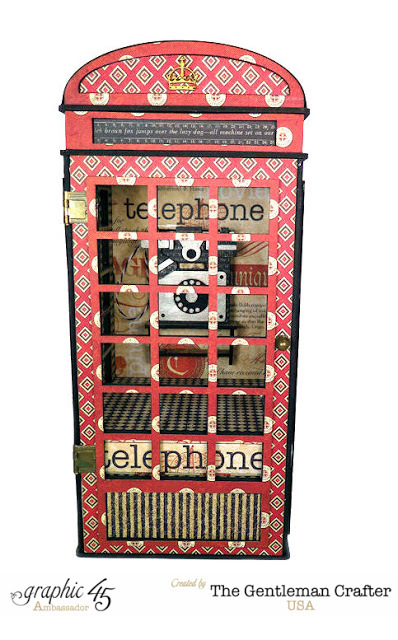 I'm selling The Telephone Booth Addresser two ways. One, with the Graphic 45 Deluxe Collectors Edition 12 x 12 Paper Pad and the other with NO paper to cover it the way you would like. You can purchase this by clicking HERE! Hope you give it a go...Have an awesome weekend and stay COOL! Ooooh I love this kit! I am hoping that you will still have one left in about 3 weeks, when I next get some money into my bank account. I am also hoping that you will be doing a kit for the Big Ben lamp too.